Custom made foot orthotics are prescribed for many biomechanical foot disorders such as high arches, low arches (flat feet), bunions, and hammer toes. Heel spurs, plantar fasciitis (plantar calcaneal enthesopathy), Morton’s neuroma, metatarsalgia, joint pain, knee, hip and back pain often times will respond favorably to plaster casted, custom made foot orthotics. Although medical assessment including a comprehensive biomechanical examination results in an individual orthotic prescription. A non-weight bearing, subtalar neutral plaster-of-paris cast is then taken of the patient’s feet. The cast and prescription are sent to a PFOLA accredited orthotic laboratory. To qualify for reimbursement, many healthcare plans demand proof of a full biomechanical assessment, plaster cast and prescriber credentials. What does my insurance company need for my orthotic claim? The Canadian Life and Health Association approves Chiropody as a prescriber and dispenser of prescription foot orthotics. Only Chiropodists and Podiatrists are licensed to prescribe and dispense orthotics by The College of Chiropodists of Ontario, meaning that we are held to a higher standard ensuring that you are receiving the best care. 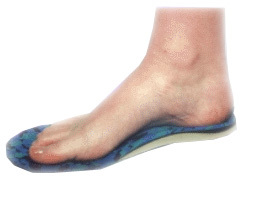 Custom orthotics are not regulated by the government; therefore, may be offered to you by a multitude of non-foot specialists. However, only Chiropodist prescribed and dispensed orthotics meet your insurance requirements. Talk to your insurance company for details of your coverage.